I am sure, like me, you indulged in some delicious holiday treats, had seconds and third and put your workout on the back burner. Lets get back into the swing of things and put our health and fitness on our priority list again! To help you get started, we have an amazing giveaway!! 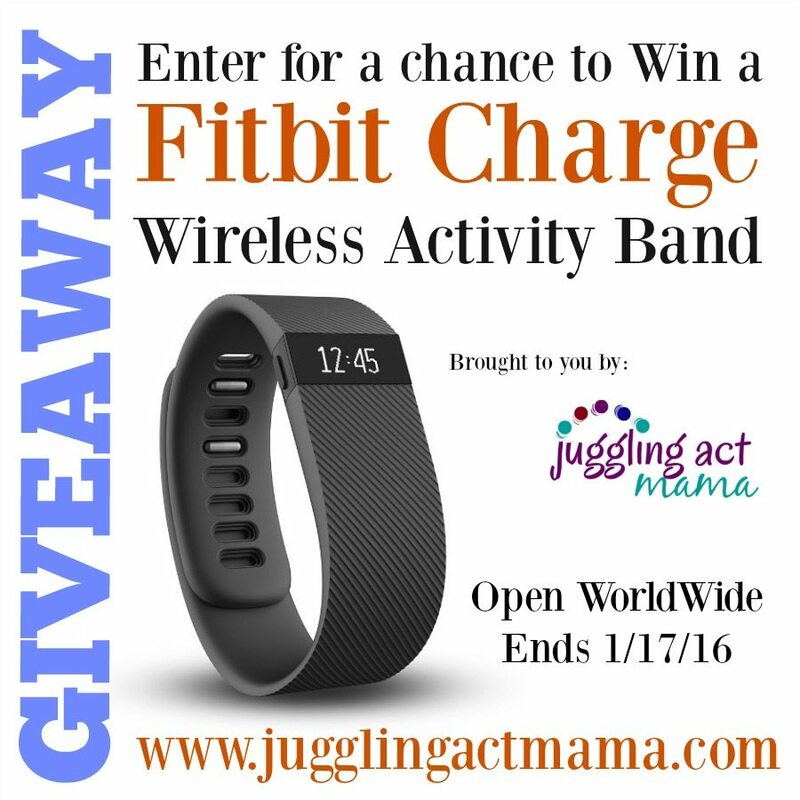 This month, we’re so excited to bring you the 2016 FitBit Charge Giveaway – your chance to win a Fitbit Charge Wireless Activity Wristband! TERMS & CONDITIONS: Open WorldWide. 1 winner will be chosen. Prize must be claimed within 48 hours of announcement or a new winner will be drawn. International (outside US) winner will receive a $90.00 USD cash prize in lieu of prize. All entries will be verified. 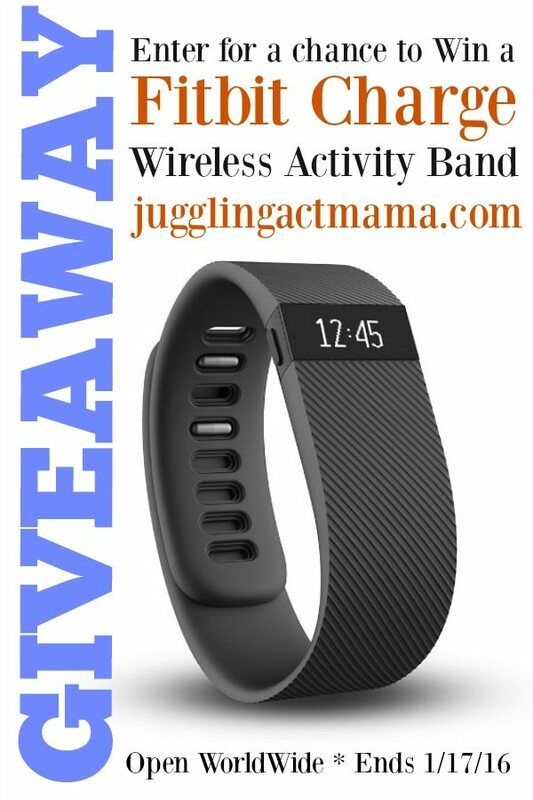 This giveaway is in no way associated with Fitbit, Paypal, Facebook, Pinterest, Twitter, Instagram, Rafflecopter or any other entity unless otherwise specified. Juggling Act Mama and sponsoring bloggers not responsible for delivery of prize. Winner should allow 4+ weeks for delivery of prize. Disclosure: Post contains Amazon affiliate links. Should you make a purchase through one of these links, Naptime Tales will earn a few pennies, however, it does not impact the cost of the item to you.